I had the privilege of launching this important book, here, whose aim is ‘to illustrate the power of good economics to improve people’s material lives and the power of the Christian faith in helping a practising economist, Professor Ian Harper, keep his professional life in proper perspective’. We styled the book launch as a conversation between the two of us. 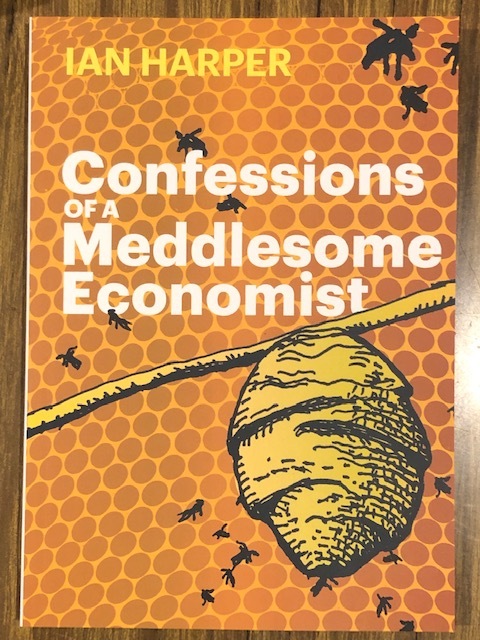 Please find the questions, Ian Harper Confessions of a Meddlesome Economist Book Launch 2019, with which I sought to give direction to the conversation: attendees can decide how successful I was! Thanks to my son, David, for his input to the questions. “I thought up the title myself. It’s intended to be a play on the “meddlesome priest” of “Murder in the Cathedral” fame (“Who will rid me of this meddlesome priest?”) with a touch of Augustine’s “Confessions” thrown in. “It’s intended to be ironic. Many people don’t welcome economists’ policy recommendations, especially when they upset a comfortable status quo for protected firms or require people to change jobs or locations. Yet, properly conceived and implemented, economic policy improves people’s material lives. “So, yes, I confess to being a meddlesome economist because I believe that proper meddling makes a positive difference to people’s lives – it’s like a medical doctor whose interventions might also qualify as meddling but which are efficacious in most instances! “The ‘confessions’ part has a double meaning – I’m confessing to being one of those ‘troublemaking’ economists but also confessing that there’s more to my motivation than a desire to practise my craft. I’m confessing to a deeper calling and faith that many might be surprised to see linked to my profession. 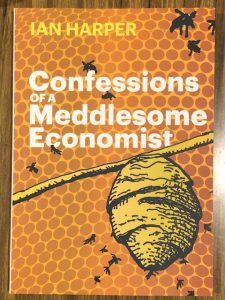 “The other aspect of being meddlesome is that many economists (not unlike priests) are quite happy quietly performing the ‘sacraments’ without getting involved in the world of affairs. This economist might be regarded as meddlesome even by his own kind. Why not just stick to academic research and teaching? Why meddle where your ideas are not welcome? Australian Christian Books of the Year!